WATLI succumbs to supply, can the east hold on? Home > Sheep > WATLI succumbs to supply, can the east hold on? 09 Nov WATLI succumbs to supply, can the east hold on? 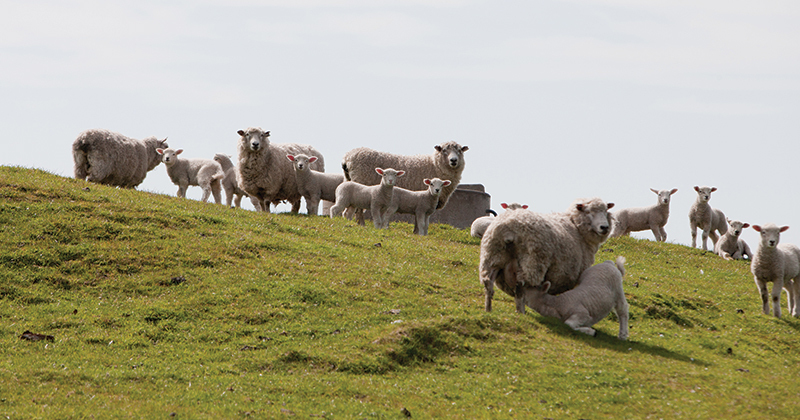 Sheep and lamb yardings had another strong week, with Victorian lambs starting to run. Yet prices continued their solid reluctance to fall, maintaining levels well above last year in the east. Things are easing in the west, but also remain better than last year. Figure 1 shows east coast lamb yardings for the week ending the 27th, and individual yardings suggest that Victorian lambs are starting to hit the market. Ballarat yardings were up to 40,500 head, while Bendigo remained strong at 34,000 head. Usually the Victorian lamb run is what pushes yardings higher in November and December, but now it is just adding to already above average yardings in South Australia and NSW. Yardings in WA jumped 41% higher, and are well above normal for this time of year (figure 2). Higher yardings in WA saw the West Australian Trade Lamb Indicator (WATLI) fall sharply, losing 44¢ to 521¢/kg cwt (figure 3), a nine month low. Despite being lower, the WATLI is 80¢ stronger than this time last year, even with higher yardings. Last year the ESTLI followed the WATLI lower, after about a month delay. We keep saying we expect the ESTLI to ease in the spring, but there is only a month of spring left, and prices remain strong. Mutton markets were the star performers this week, with the Victorian Mutton Indicator moving back to 450¢/kg cwt, and NSW not far behind. In contrast SA mutton is lagging around $1/kg cwt behind, or $20 on a 20kg cwt Merino. This suggests that supply in SA is starting to outstrip slaughter space in SA. We keep saying the ESTLI can’t defy gravity for too much longer; and with cheap lambs in WA, export demand might start to come under some pressure. Last year we saw that the market declined 60¢ from the start of November through to Christmas as supplies ramped up. Demand is stronger this year, and a 60¢ decline would see markets still at historically strong levels, but price will make current January forward contracts look attractive. More on this next week.